We have been exploring colour and over the last few weeks we have discussed and investigated cool colours and warm colours using the Interactive Whiteboard to look at images that depict these concepts. Here are some examples of what the children did during these investigations and I will share the process with you in the next post. 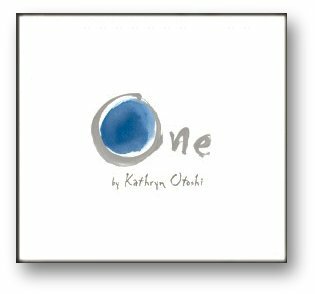 In keeping with their interest, yesterday I read the children One by Kathryn Otoshi. I find this book with it’s bright, beautiful and simple illustrations very moving. For those who don’t know the book, it is a story about colours and numbers but hidden inside is so much more. 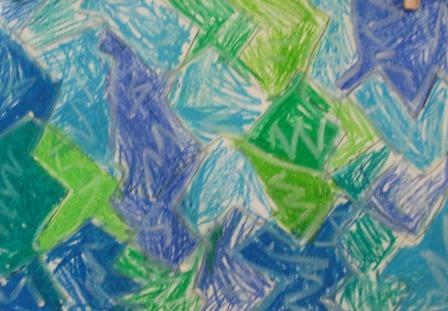 The colours and numbers are metaphors for a group of children, each of whom has their own personality. 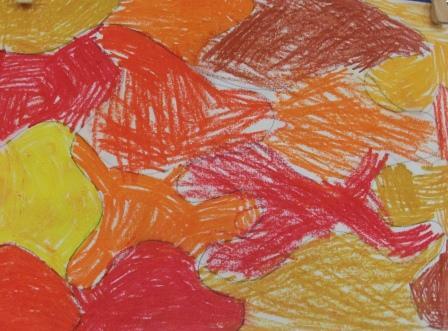 Blue is quiet and contemplative, yellow is sunny, green is bright, purple is regal, orange is outgoing, but red is HOT. He is a bully, who picks on blue. The other colors are sympathetic, they like blue but are afraid of Red and don’t tell him to stop. Feeling more and more powerful red becomes bigger and stronger until everyone is bullied and there seems to be nothing they can do. My preppies found this book just as moving as I did and there was lots of discussion around the colours and the concepts within the story. I think our prior investigations into how colour can represent moods and feelings really helped them to understand the hidden concepts and metaphors in the story. Today they asked me to read it again and at the end of the reading, and as if to a script, one of my children said “what about zero?” which I just happened to have ready and waiting. 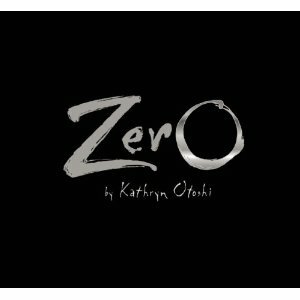 Zero is the sequel to One. Once again this amazing author proves you can have big discussions with little numbers. Zero sees herself as a big round number with emptiness inside. The other numbers are more colourful. They have fun, and they count. Zero tries to stretch and pinch herself into another shape (1, 8, or 9) and makes a grand entrance that sends the other numbers tumbling. Zero is feeling even more deflated after this and is ready to listen to some wise words: “‘Every number has value,’ said Seven. ‘Be open. You’ll find a way.’”The children practised being inflated and deflated to gain more insight into how Zero was feeling. Zero is inspired by the advice Seven gives and shows the numbers how to “count even more.” With her help, 1 becomes 10, 2 becomes 20, and so on and so on. Zero realizes her value and feels whole. I think my favorite part of the story is when zero realizes that she’s not empty inside, she’s just open and it’s after she realizes the importance of being open that great things start to happen. The message isn’t quite as clear and straightforward as “One”, but the children loved watching the numbers growing particularly as their favourite video in the Virtual Classroom is about counting to 100 and beyond with the addition of zeros. 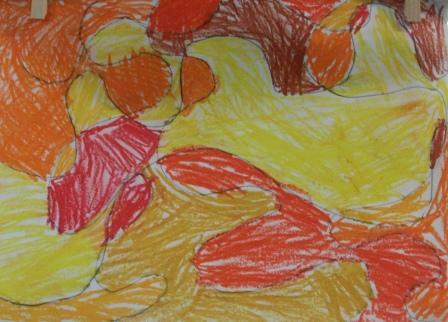 They really enjoyed the art and we discussed how it was created using water colours. A medium we will now have to further explore. After the reading and discussions we had today. I walked away inspired, thinking that was amazing. 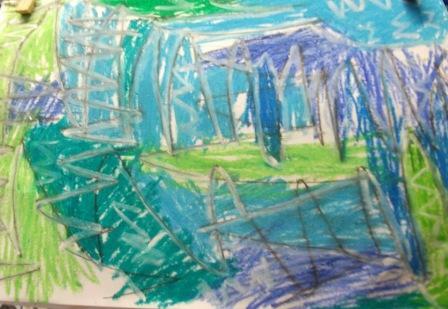 One child’s question has extended our journey into art and it’s concepts, and will now encompass many other learning areas such as Early Maths Understandings and Investigating Phenomena. Then I remembered the message in the first book……… it only takes just one.